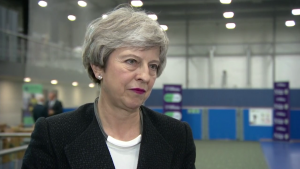 General election results: when are they announced? 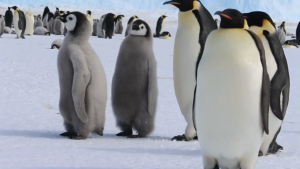 When to go to bed and when to wake up: Channel 4 News guides you through the most important timings for tomorrow night, so you won’t miss a thing. 10pm: Polls close and our Channel 4 Alternative Election Night begins with a Gogglebox take on the election. 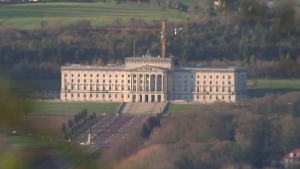 You want to keep an eye out for the exit polls here (although take them with a pinch of salt as they can be far out). 10.45pm: First results are expected at Houghton and Sunderland South. This constituency is always first: a group of school children line up to pass the ballot boxes into the count and even the voting papers were changed to 20g lighter, making them easier to handle. The 2005 election was the council’s proudest moment. It made history by declaring the first three results on the night – Sunderland South at 2245, Sunderland North at 2325 and Houghton and Washington East at 2332. 1am: Nuneaton (Con) – this Conservative seat is number 32 on Labour’s target list and Labour think they could nab it after polls put them ahead in March. Ed Miliband has been here campaigning a lot. 1.30am: City of Durham (Lab) – this is Labour but the Lib Dems targeted the student-heavy seat in 2010. 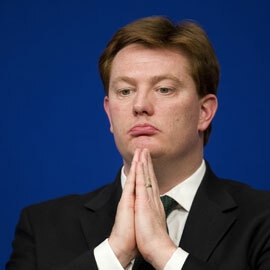 It could be the first crushing of Mr Clegg’s party we see of the night. 2am: Watch for a flood of Scottish seats here. This is when we begin to see the real scale of the SNP success – and Labour collapse. Watch out for Rutherglen & Hamilton West – Labour really want to hold this. 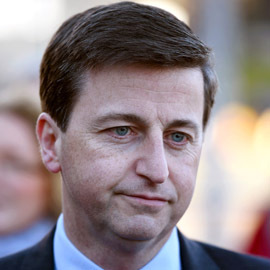 2.15am: Paisley and Renfrewshire South (Lab) could be the first big Labour scalp – it is the seat of top Labour strategist and shadow foreign secretary Douglas Alexander and he is under threat. 3am: Thurrock (Con) – could be the first Ukip gain of the night, sending Tim Aker to Westminster? It’s a close race between Labour and Tories too. 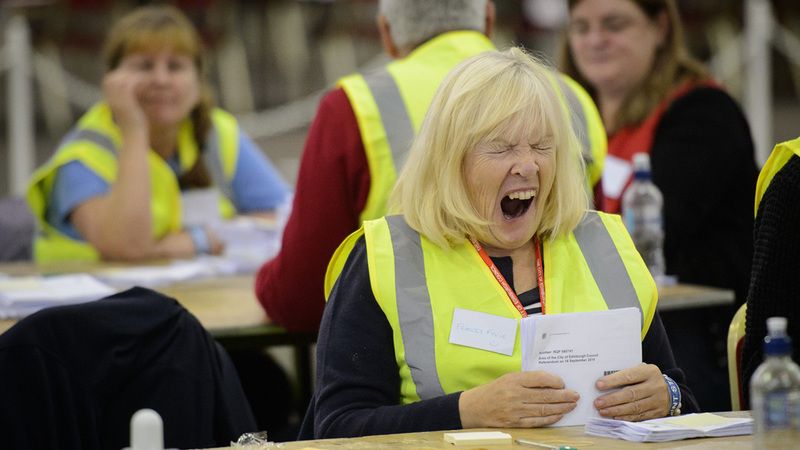 3.20am: East Renfrewshire (Lab) – the seat of Jim Murphy, the Scottish Labour leader. 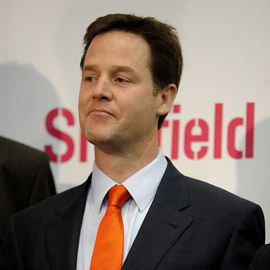 4.30am: Sheffield Hallam (LD) – Nick Clegg will find out his fate. Will he survive? The Lib Dems seem confident but polling has suggested it could be close. 4.30am: Hampstead and Kilburn (Lab) – one of the closest marginals in the country where Glenda Jackson is standing down. A tiny shift could hand it to the Conservatives, although that would be going against the London polls. 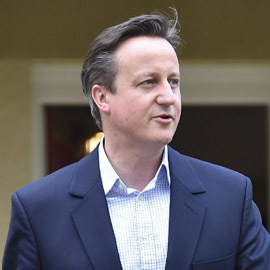 4.30am: Witney (Con) – David Cameron’s seat declares, and he should make a speech. 4.30am: Gordon (LD) – this is Alex Salmond’s bid for a seat in the House of Common. The seat was already a favourite to fall into SNP hands after long-serving MP Sir Malcolm Bruce announced his intention to retire, and he’s been polling as high as 52 per cent in the polls. If he wins, the SNP will have a loud voice in Westminster come Friday. 4.45am: Inverness, Nairn, Badenoch and Strathspey (LD) – Danny Alexander is on track to lose here, but he is a popular local candidate. It could be all over for a Con-Lib coalition by 5am if Clegg and Alexander are gone. 5am: Wirral West (Con) – Conservative rising star Esther McVey’s seat is vulnerable. 5am: Norwich South (LD) – this is a key Labour target and is an outside chance for the Green party. Lib Dems are fighting hard to hold on to it. 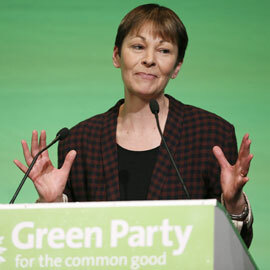 5am: Brighton Pavilion (Grn) – the Greens’ best chance as they seek to hold on to Caroline Lucas’ seat in Brighton. If they don’t win anywhere big questions will be asked about the legitimacy of voting systems as they are expected to get thousands and thousands of votes countrywide. 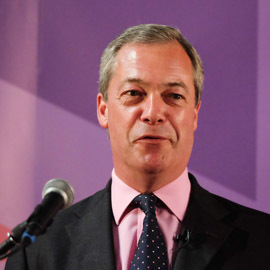 6am: Thanet South (Con) – will Nigel Farage be heading to Westminster or hanging up his boots as the leader of Ukip? This three way marginal will decide it. 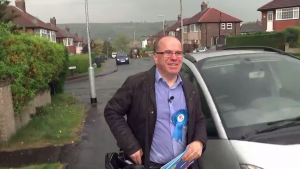 6am: Uxbridge & Ruislip South (Con) – if Boris Johnson wins the seat, but the Tories are losing overall, we could be seeing the anointing of a future PM here. 12pm Friday: Warwick & Leamington – this is a Labour/Conservative battle and if we get down to a result where every single seat matters, it could be as late as noon before we know who is going to make the first bid for government. 1pm: St Ives – traditionally the last to declare.